For a bold, vibrant lip look that won’t stray, this richly pigmented, silky smooth and velvety matte lip colour delivers extended wear without flaking or drying. Gliding on without tackiness, this creates a breathable film of intense pigment that instantly bonds to lips and infuses skin with conditioning emollients and fruit extracts, including cili fruit and goji berry extract. 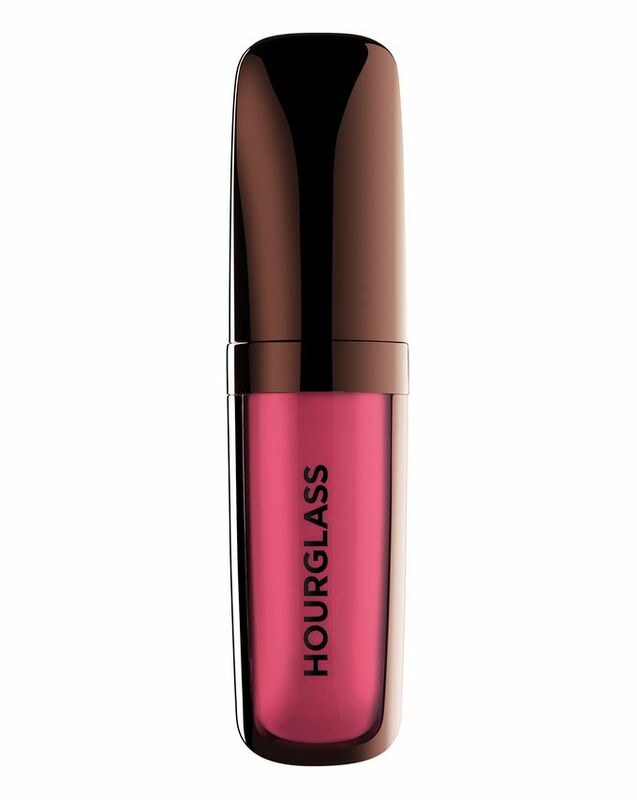 Sleek, chic and a little opulent, this luscious liquid lipstick represents everything we love about Hourglass. Richly pigmented, silky smooth and velvety matte, Hourglass’ Opaque Rouge Liquid Lipstick delivers extended wear without flaking or drying. Perfectly lightweight, the formula glides on without tackiness, setting to a ‘modern matte’ finish that enhances the look of lips with bold, vibrant colour. Creating a breathable film of intense pigment, the formula also treats skin with conditioning emollients, fruit extracts and vitamins, including goji berry extracts, vitamins A, C and E to nourish and protect lips throughout the day. The custom doe foot applicator allows for precise application and there are nine vivid shades to choose from: vivid pink ‘Ballet’; neutral pink ‘Edition’; medium rose ‘Rose’; classic, true red ‘Icon’; vivid coral ‘Muse’; aubergine ‘Empress’; red orange ‘Raven’; tangerine ‘Riviera’ and dusty rose ‘Canvas’. 1. Lips must be bare to ensure optimal coverage. 2. Apply Opaque Rouge directly from applicator and allow to set for one minute. 3. Store in a cool, dry place, keeping away from extreme heat and cold. I have had three tubes of Icon and it is the most perfect blue-based red I’ve ever had. Makes your teeth look pearly white. It’s very long lasting. I apply one coat blot with paper once dry and then apply a second coat (not that you need the second coat for colour because it is incredibly opaque with just one layer) it lasts for me 8 hours ish. I will reapply after food because it does fade a little on the inner part of your lips but it doesn’t leave your lips dry and flaky and layering it is never a problem like with some matte lipsticks. It also does not transfer. This formula is my favourite liquid lipstick out of Stila (flakes) Kylie/Colourpop (so dry) and Lime Crime (mine transferred). 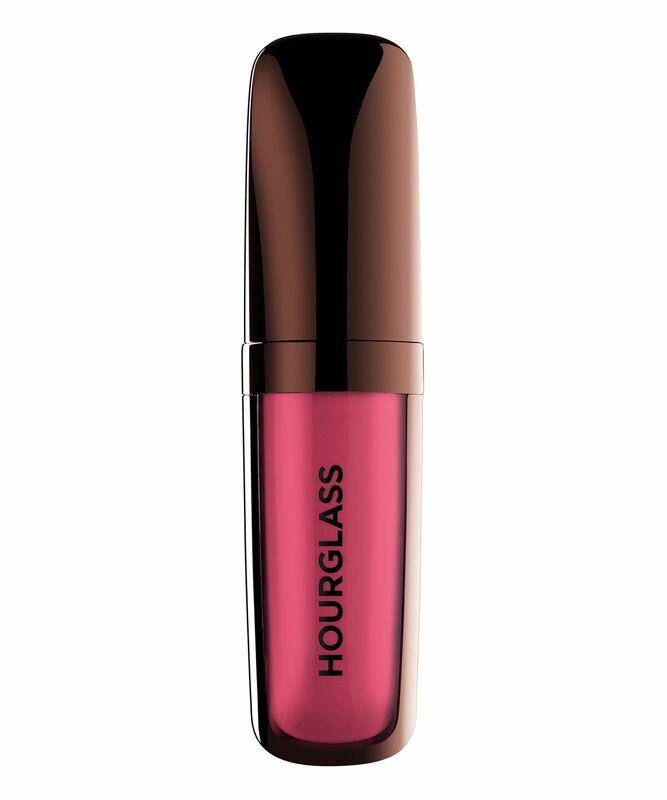 I feel hourglass opaque rouge does not get the hype it deserves.